The emotional relationships among your characters are the most complex of your story. To understand each relationship fully, and to ensure that each doesn't skip a beat, it is best to follow them through one by one. But when it comes to actually weaving them all into your story, you may find dramatic moments that bring a number of your characters together in such a way that several of these relationships come into play at the same time. For example, though you may have established an emotional relationship between a father and son and another between the son and his girlfriend, when they all end up in the same elevator, both relationships come into play with the son at the fulcrum. In fact, a new emotional relationship may be established between the father and girlfriend where none had existed before since they had never met. 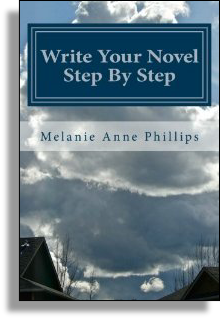 You have built your characters’ relationships from the very start of your novel. But in life, new relationships come into being all the time. Similarly, as you develop your story it takes on a life of its own. It is only natural if new relationships come into being along the way. In fact, it would probably be unnatural if they didn't. Yet whenever they are created, all emotional relationships must eventually reach a climax in your story by the end of act three. For this step, look back over the introduction and growth of your characters’ relationships that you have already established. 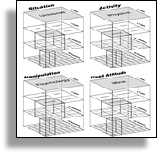 Based on how they are converging, develop and describe the rising tension and climax of each emotional relationship in act three.